How to Save Money with Multichannel Inventory Management Software? There is probably no business in the entire world which does not face hardships while trying to manage their inventory. Inventory, in simple words, is the list of things under a business which the business has to take care of. These include sales, warehouses, orders, shipping, and more. With each and everything going digital in today’s times, most of the businesses have already set up their e-commerce store. Businesses are looking to make the best profits out of their physical as well as online retail stores but one thing that is troubling each and every retail business is the ability to manage their inventory and more importantly from a single place. This is what gave birth to the multichannel inventory management software that is designed specifically to manage the inventory from a single place and that too with complete ease. This is must-shop software for every business as not only it helps to manage the inventory well but also help in meeting important deadlines, unexpected orders and save money eventually! How does it help in saving money? Relax, as we brief you about the same! Managing a lot of inventory is not easy at all and one requires a lot of manpower for the same. You need manpower to manage your warehouses, sales, physical as well as online retail stores, and more. If you buy this software, it will do most of this work from a single place for which you need to hire only a single employee. This way you will save a lot on your manpower, eventually leading to company’s profit and saving! When you have to manage a lot of things, the only way you can do this is through a phone. You have to constantly call people located at different areas to stay updated and keep a track of the supplies. For example, customer orders in bulk, you will have to call at your warehouse for the products available, track down the supplies, and then coordinate with the sales, and so on. When you have everything clickable, you need not to call anybody and simply generate an invoice by looking at the inventory details. Most of the retail businesses have no idea about their products getting bad or getting expired. This is mostly due to a lack of communication on the daily basis between the key people involved in the different areas of the business. When you have each and every product in your software with its full details, you can sale it way before the deadline with an attractive offer or use it at any other area of the business. Storing products in the warehouse depends on the number of average sales you are having every day or every year. This data is hard to maintain physically and when making a decision out of it, it can be the most challenging task. With multichannel inventory management software, you can easily know how many products you actually need and the required storage space for it. This will help you save on your storage space, eventually saving the storage expense. When you will manage your inventory so well with multichannel software, you will automatically come to know what prompts customers to buy the products from you, from where you are getting the maximum orders and what you should do to let the magic continue. Also, it will help you in adopting new and effective marketing techniques that will be designed specifically for your target audience. All this will help you in increasing sales and when you increase the sales, you increase the profits and the savings eventually! Another major way to save money on your inventory is to properly assess and select your solution. One way to do this is through a software selection and comparison website, such as TEC. Choosing business software is no easy feat, so getting expert advice may ensure that you stay within budget, and implement the software that your business will truly benefit from. Thomas Marks, as the owner of the retail store, has the great passion for writing and sharing his knowledge regarding inventory management. He has been doing inventory control for his business using multichannel software and it really helped him to boost savings. Long gone are the days of direct monitoring to employees. While this system works, it’s better to have software that helps you monitor your corporate network. 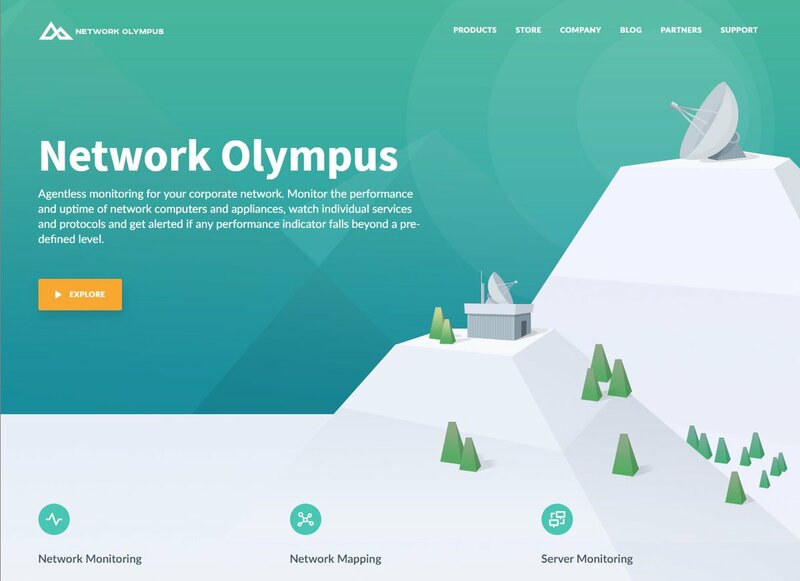 With Network Olympus, it gives you the ability to monitor the uptime and performance of the network appliances and computers. We understand that performance is a key part of maintaining a long-term business. And with this system, you can get alerted if the performance indicators go below a certain level. 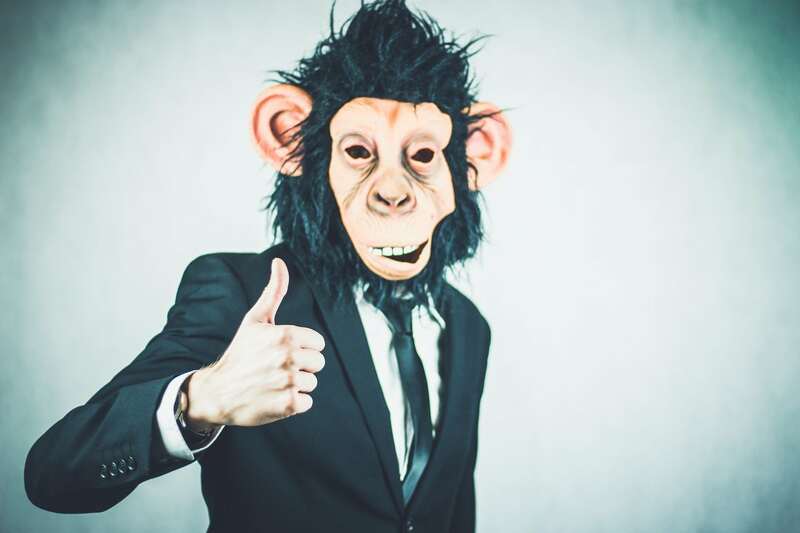 Thus, using remote networks is a great way to ensure that your business is running properly while preventing insider threats from harming your organization. Fortunately, we’ll show you why companies are looking at network-olympus.com. The benefits that the software gives you will help you stay ahead of your competitors. Being able to access your network remotely prevents the need to stay on site constantly. If you have to work from home or your local coffee shop, remote access does this for staff living in remote cities, offices, countries, or branches to assess the network’s performance – even if the software is installed on the headquarters. This means that if your device doesn’t work in a remote expert, network specialists can help you fix the problem without too much viewing on your end. They can see the network maps and updated metric themselves. Having access to a remote network give your team better-increased security. Some network administrators don’t like the concept of remote access is through using encrypted authentication and ensuring that the user logs in with the right method. Another feature for security issue protection is by data encryption. By doing this, it allows you to customize the user access. Most of the Mount Olympus remote monitoring tools will give you access to the admin or user level to enable maps or dashboards. By managing this access to users, you’ll have complete control over your network and protect the connection. Also, you should get a tool that will consistently update and create patches for any security holes that occur. While these security threats are common, good security tools help notify users once the patch is launched. This allows you to take control of the advanced security measures fully. When using network-olympus, users have more access because of their remote capabilities. As long as you’re on a network due to VPN connectivity and or a point-to-point, you’ll be able to manage and utilize connected devices on the network. Regardless of your location or where they’re located. By having more remote capabilities for your IT team, you’ll have the flexibility to handle the tasks that the modern world demands. And you’ll have peace of mind because you can see your network from a glance, whether that comes from a city, country, or a world. Overall, network-olympus.com is perfect if you’re trying to manage a team of 10-50 employees. By using their software you’ll experience increased productivity, remote network management, and better employee communication. Thus, we suggest you try out Network Olympus and see how it improves the functionality of your team. If your IT team is spread out through multiple locations, who are responsible for helping monitor the network performance, the remote access enables for the staff in other cities, branches, countries, or offices to check the network performance – even if the software is installed on the headquarters. This means that if the device is down at a remote location, a network expert can help you troubleshoot the issue without getting involved. And, he doesn’t have to ask you what you’re viewing on your end – he can see updated metrics and network maps himself. Having the ability to access the network remotely means that your team doesn’t have to be on the site constantly. If you have to work from the local coffee shop or home, the remote access allows you to see the device status on your mobile device or laptop. Mobile network monitoring helps users keep their network data, so they don’t have to risk outages due to lack of access. Some network administrators might not like the idea of remote access due to the remote security threats lying behind it. One way to keep the network secure is through encrypted authentication and by making sure each user logs in with the same method. Another form of protection against security issues is its ability to customize your user access. Most of Network Olympus remote monitoring tools will help you give access to the user or admin level to certain dashboards or maps. Managing the access to your users will help you keep the connection fully secure. Also, get a tool that will consistently update and give patches to any security holes that surface. Although security threats are common, having good tools to notify your users once a patch has been released. This allows you to take advantage of improved security measures as much as possible. Network Olympus gives users more access due to its remote capabilities. As long as you’re on the network due to a point to point or VPN connectivity, you’ll be able to utilize and manage the connected devices within the network. Regardless of where they or you are located. By giving more remote monitoring capabilities for you and your IT team, you’ll have enough flexibility to handle what the modern work world requires. And you can gain peace of mind that no matter where you’re at, you can see the network at a glance, whether it spans from a country, world, or city. Basically, Network Olympus can be used to help you utilize your network. Not only does it have multiple features to help monitor your goods, but also helps keep your team on track. Thus, try to utilize it so you can keep your IT team running efficiently. Need to learn more about Network Olympus? Although there is a multitude of tools to help you keep track of your software, it can be difficult to do the same with hardware. But that doesn’t mean it’s not important. Taking care of your hardware inventory is important if you want to deliver physical products to your customers. Recently, Amazon has created policies to help sellers sell physical products. For businesses, having a hardware inventory scanner will help you understand your products and know how much stock you have. While it can be confusing to know what scanner is needed, having one will help you utilize your business effectively. As businesses progress, there will be more rules and regulations made that your company will follow. With a hardware inventory scanner, you’ll be able to stay on top of your stock and continue to adapt to the constant changing e-commerce industry. Remember, if you are looking for portability with your hardware inventory scanner, you have to look for one that has wireless connectivity. Not all inventory scanners are made to be equal. There are some that work without being tethered to a power source but might not transfer the data wirelessly to the central database. If you want to receive and update data on the go, get a Bluetooth barcode scanner. Due to their fast updates, you’ll be able to receive analytics on your products within 30 minutes. Laser: This is the most popular scanner type. It creates a laser to scan the black and white codes placed in a barcode. Linear Image: Just like laser scanners, linear image scanners read 1D codes. However, it does this by taking a picture of your barcode and analyzing the information in your image. 2D area images: These scanners act like linear images, except they can read 2D and stacked barcodes. And they can scan barcodes in almost any direction. The products that you have to scan and type of barcode you use should determine what type of hardware you need. For instance, if your product uses UPC codes, the laser scanner might be able to do the trick. If you do have stacked barcodes, you’ll have to pick a scanner with some compatible hardware. And if you start to use UPC codes, you can use a laser scanner to do the trick. 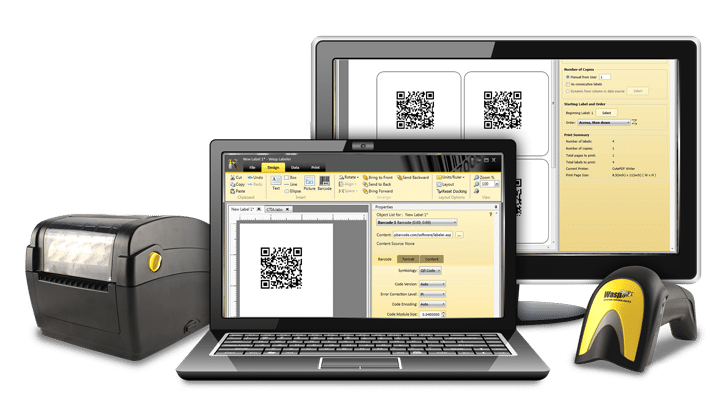 And if you hold your stock in an environment such as manufacturing facility or industrial warehouse, it might be worth investing in a barcode scanner. To conclude, we believe that hardware inventory scanners are a major aspect of your business. This means that you have to get a scanner to help keep track of your physical products. By doing so, you’ll be able to get your inventory well documented and stored to help improve your total sales.